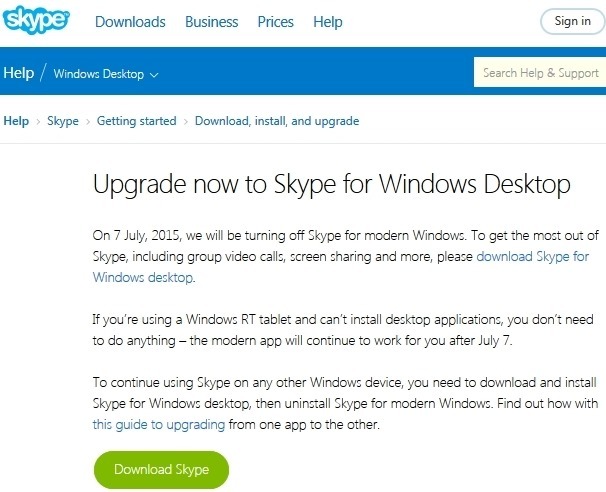 Skype for modern Windows is the app included with Windows 8 and 8.1 operating systems. 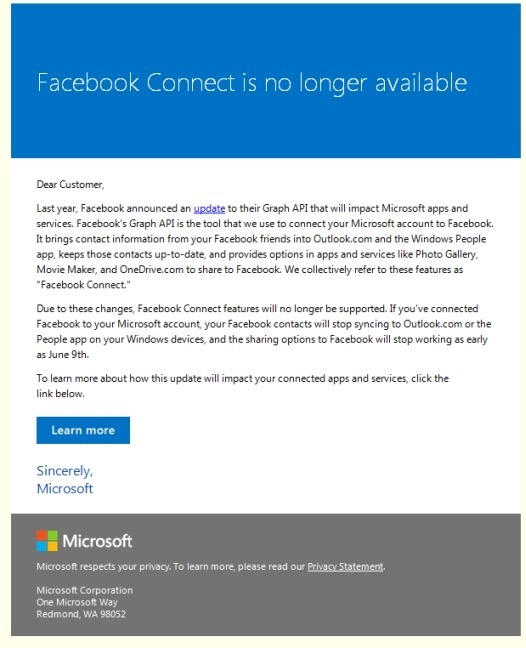 In the past Windows 8.0 and 8.1 allowed both versions (Modern app and Desktop program) to co-exist thus this change effective July 7, 2015 eliminates that possibility and makes Skype for Windows Desktop the sole Skype application for use on Windows 8 and 8.1 (and most likely Windows 10). 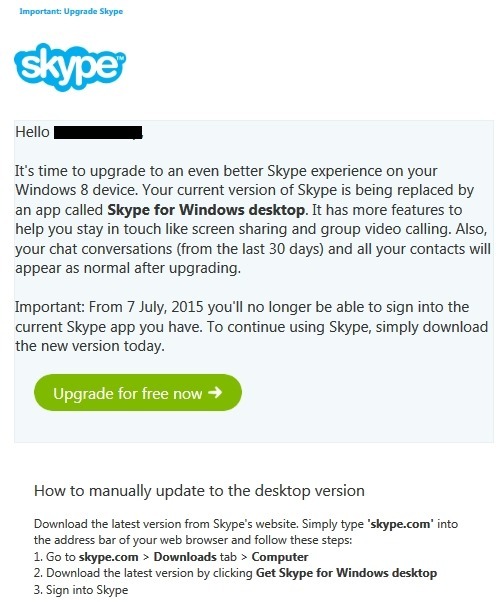 – In the Start screen, right click or tap and hold the Skype tile. The Options menu appears at the bottom of the screen. or click the arrow near the lower left corner of the Start screen.